Back at it! Lights on the Tree, on a HOLIDAY! 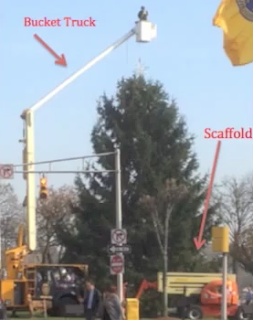 Well, I guess my comments at the December 5, 2013 City Council Meeting fell on deaf ears. 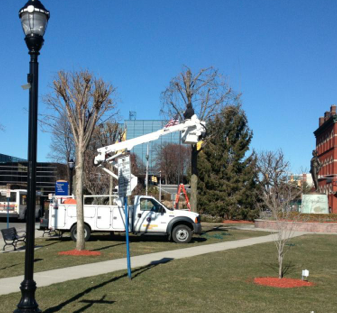 DPW workers are taking down the lights on Good Friday! 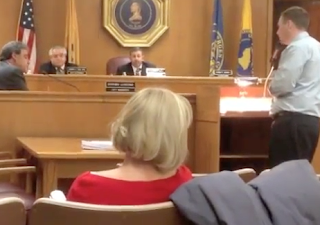 About two years ago, a concerned citizen (Rich Gelber) attended a council meeting and addressed three members of the council who he believed were collecting health insurance benefits from the City of Hackensack when they were entitled to, and collecting, benefits elsewhere. 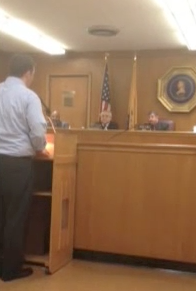 He was at the time denied his OPRA requests for a list of members that were covered under the City's plan (but was granted the same requests from other entities--big surprise--Hackensack was withholding information from a resident). I OPRA'd this information again and learned that two of the members of the council, who Rich Gelber was addressing, had stopped collecting benefits from the City. 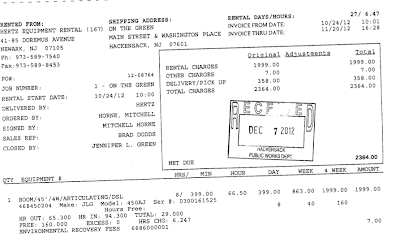 However, Mr. LaBrosse, a sitting council member (seeking reelection) was still subscribed to the City plan. At this March 5, 2013 meeting, Mr. LaBrosse refused to publicly answer why he is collecting multiple insurance plans (at a cost to the tax payer), but offered to speak with me privately after the meeting. 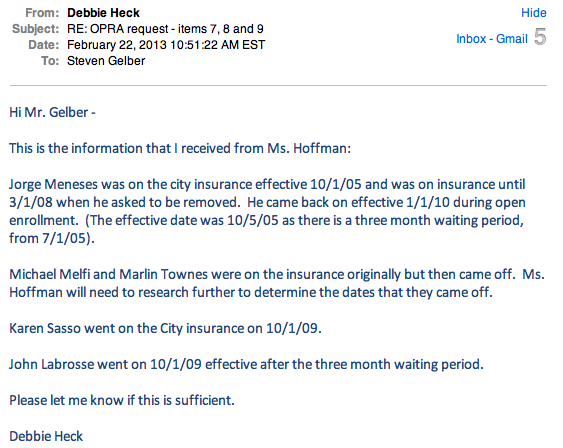 After the meeting, Mr. LaBrosse acknowledged that he is subscribed to three health insurance plans. He explained that he fears his position on the City Council puts his career at HUMC at risk so he wishes to hold "back up insurance," he went on to say that staying on the City Plan costs nothing but a small administrative fee as he has never submitted a claim to the City. Now I am no expert in New Jersey's Coordination of Benefits, but I do not understand how this could be. It is my understanding that Mr. LaBrosse must disclose that he has multiple coverage at the time he is seen by a health care provider. The plans he is subscribed to would then handle his claims pursuant to the standard coordination of benefits provisions. Now should Mr. LaBrosse have not disclosed he has coverage x3 perhaps the City is open to further liability. If Mr. Labrosse has submitted claims to his other insurers since subscribing to the City plan, perhaps those other insurers may want to come back and get their cut from the City. 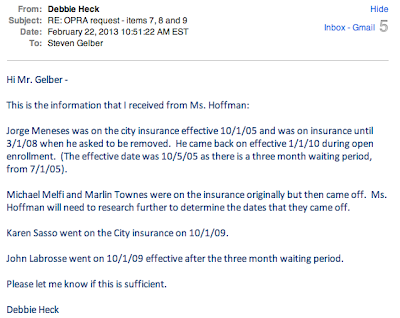 In any event, if Mr. LaBrosse wants "back up insurance" why doesn't he come off the BOE plan and stay on the City's plan? That would save the taxpayer about $750 per month, and he would still have the peace of mind! Now the best part of the story..... After this meeting I received a call from the US Department of Health and Human Services! Their Office for Civil Rights received a complaint that I may have violated HIPAA! They were inquiring as to my employment status to determine if I was a "covered person" under HIPAA provisions, how I knew John LaBrosse, and if I had access to his personal protected health records! 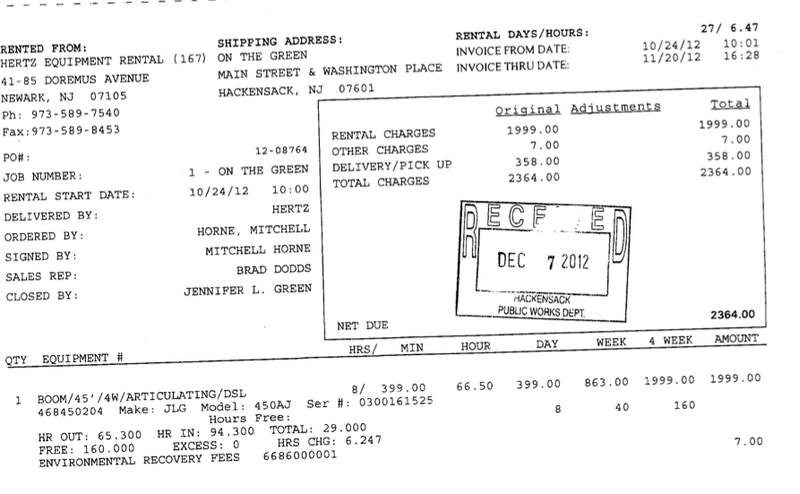 Now I can't say for certain who filed that complaint but if it was a member of the LaBrosse family, shame on them! Of all people in this City to do such a thing. They endured a lawsuit attempting to shut down a member of their family's first amendment right; they should be crusading to protect the freedoms of information and speech that are afforded residents of this City and citizens of our great nation, not attempting to stymie them! Which piece of equipment has a better "reach?" The one we rent, or the one we own? So did we really only have the lift for 1 week? Did the men need to work those holidays because we only had the lift for 1 week? If so we should be looking to get money back from Hertz! Because we paid for a whole month! 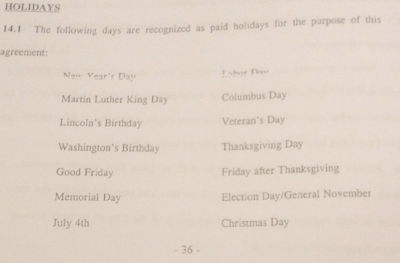 Did the DPW workers not get overtime for Columbus Day, Veteran's Day, and Election Day? Well after having to go to court to obtain the documents we have learned that not only were these men entitled to overtime for these days--THEY GOT 2.5 TIMES THEIR RATE OF PAY FOR THESE DAYS!!! Below find excerpts from the Collective Bargaining Agreements which show that each of these days were holidays and that the rate of pay for those days is 2.5 times the worker's hourly rate. 2 and 1/2 times rate for their time? WOOF that's a nice bonus! 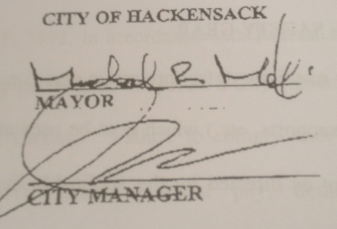 Mr. Melfi was the Mayor when this collective bargaining agreement was executed, in fact he signed it!